10 Rare Blythe Dolls for Sale! The Most Beautiful Original Blythe Dolls for Sale! I have always LOVED dolls! I have always thought they look very ‘mysterious’ and so very beautiful! I love everything about them, from their gorgeous hair to their beautiful eyes and their always fashion outfits! The Blythe dolls were created in 1972 and the original Blythe is about 28 cm. On this page you are going to find a few of the best authentic Blythe dolls for sale, (and Neo Blythe dolls) in case you are interested in starting a doll collection! Gorgeous Blythe Doll with Pink Hair! 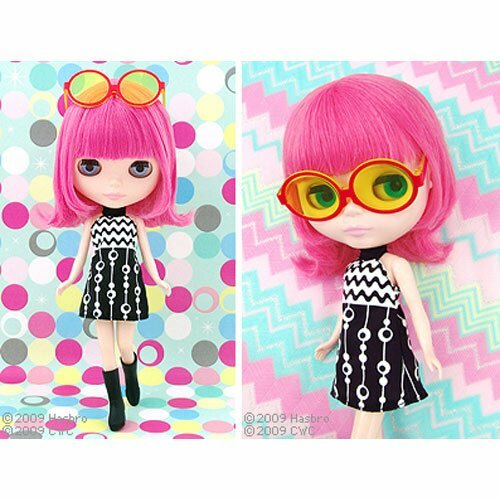 I decided to start my selection of the cutest Blythe dolls for sale with this gorgeous Neo Blythe doll with pink hair, glasses and a super fashion black and white outfit and black boots! I can’t get over her pretty hair! She stands about 12″ tall. Look who is going out in the rain! It’s a cute Blythe doll in a cute red and white checkered raincoat and the cutest red rainboots! 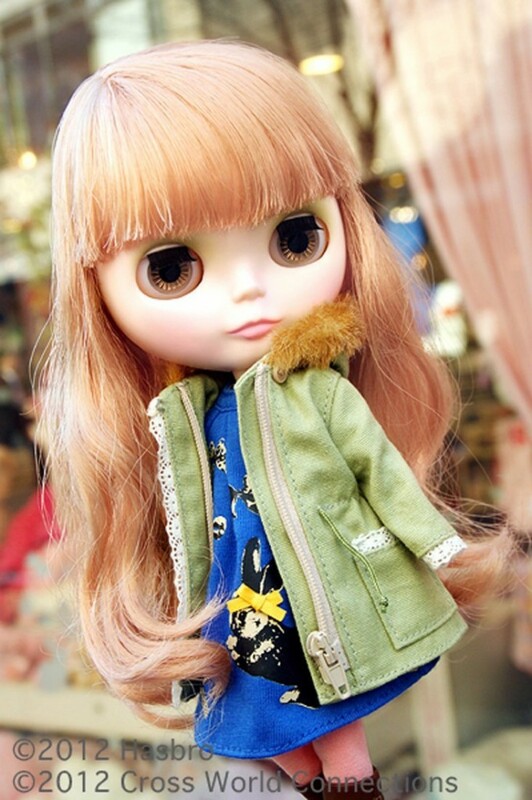 How cute and fashion is this gorgeous Blythe doll with long blonde hair and the cutest winter outfit? She is wearing a very pretty blue dress full of ribbon prints (and a rabbit?) and the cutest winter boots! Beautiful Blythe Doll with Long Red Hair! Phoebe is one of the most beautiful Blythe dolls around! She has the most gorgeous long red hair, beautiful blue eyes and a very girly floral dress! She is also wearing high socks and the cutest shoes! Another Pretty Blythe Doll with Long Pink Hair! Meet the Snowflake Sonata, a very pretty Neo Blythe doll with very long pink hair! She is also wearing a dreamy pink dress! Snowflake Sonata Great Blythe Doll Review by this Girl! Best Blythe Dolls for Sale! 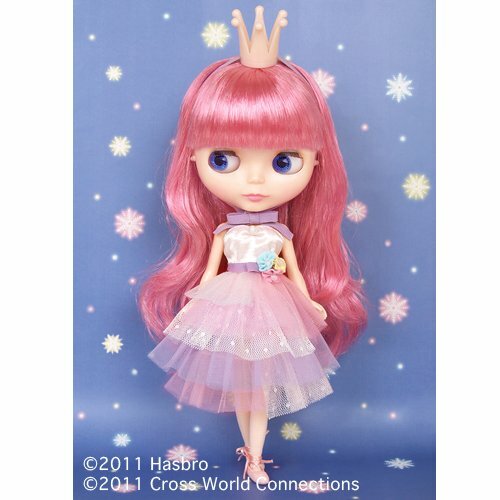 The Neo Blythe Raspberry Sorbet is also among the most beautiful and most fashion Blythe dolls for sale! She is wearing an ultra-fashion light pink winter coat, gorgeous black winter boots and a beautiful French style white bonnet! She is definitely ready for winter time! Great Blythe doll to have in your collection! Best Blythe Dolls for Collectors! The Cassiopeia Spice is also a very popular Blythe doll to collect! She has gorgeous blonde hair, dreamy green eyes and she is wearing a fun dress and carrying a picture camera on her neck! I love the pretty red flower accent on her hair! She is definitely going somewhere exotic to take beautiful pictures! Now you get to travel with her! Look what I found! A vintage Blythe dolls TV commercial from the 70’s! 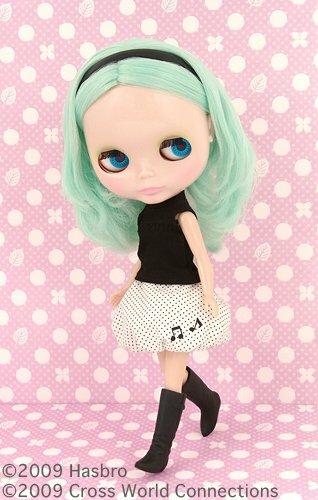 Beautiful Blythe Doll with Light Green Peppermint Hair! This is also one of my favorite Blythe dolls! She has gorgeous light green (or peppermint color) hair and amazing blue eyes! She is also wearing a beautiful and unique ‘musical’ skirt, a black shirt and black boots. She is 12 inches tall and definitely a must-have in any Blythe doll collection! Prettiest Blythe Dolls for Sale! This beautiful Blythe doll with long red hair and bright green eyes will definitely make wonderful gift idea to any doll collector or girls who also love dolls! She is absolutely a dream come true! She is wearing a pretty blue summer dress and her gorgeous red hair is combed to perfection! This is a great guide book for anyone interested in starting a Blythe doll collection! Another Beautiful Blythe Doll Book for Sale! This is a fun and creative book for Blythe doll fans full of fun Blythe doll pictures! Great gift idea for any Blythe doll collector! The Most Expensive Vintage Dolls to Collect!